Which mortgage lenders are contractor-friendly? Contractors have been able to get a mortgage using just their contract rate for some time. By ‘contract rate’, we don’t mean by using end-of-year accounts or umbrella PAYE payslips. We mean gross contract value, ‘annualised’ to help show lenders a contractor’s true affordability. Halifax were the progenitors of this method — contract-based underwriting — as we know it today. And, yes, the bank has relaxed its lending criteria a little since launch. But those criteria remain high, almost too high, for those not working in IT, Oil & Gas or consultancy. …and we all know what effect tax planning has on a contractor’s income. Yet the majority of lenders use salary and dividends to determine ‘self-employed’ applicants’ affordability. And then they expect to see at least 2–3 years accounts to support such an application. For contractors with less than two years’ contracting history, this combination can prove difficult. In reality, it can only spell one thing for them: disaster! What options do contractors have when choosing on a mortgage lender? The truth is: many lenders offer the aforementioned contract-based underwriting. It doesn’t matter whether a contractor is remortgaging or a first-time buyer. In many instances, lenders also offer great deals on mortgages for investment properties. The real issue is contracting itself: despite recent popularity, it remains a niche sector. Few mortgage lenders train their in-branch staff in the nuances of limited company contracting. And with good reason: it’s a minefield for anyone not clued up on latest HMRC guidelines. Instead, lenders who welcome contractors insist that they apply through selected mortgage intermediaries. In English, that means going through a specialist broker, not direct on the High Street. How do contractors gain access to a specialist mortgage broker? Freelancer Financials, our partner in finding the best contractor mortgages, is one such broker. 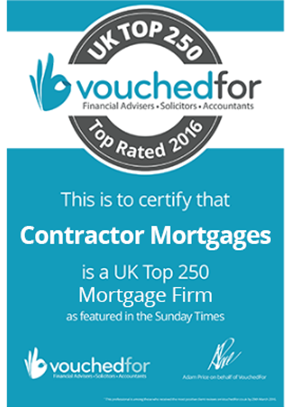 Their team deals with every contractor-friendly mortgage lender in the UK. In particular, they deal direct with underwriting teams, which is crucial. It means bypassing branch level and call centre staff altogether. Here is a definitive list of banks and building societies who lend based on gross contract value. Beneath each, you’ll find a brief overview of the criteria unique to that lender. If one piques your interest, there’s a link to that lender’s dedicated criteria for you to follow. It was Halifax who first enabled contractors to get a mortgage based on their contract rate. At first, the lender only offered those mortgages to IT contractors. That changed in May 2013 when a seismic change in direction saw them open their doors to all contractors. IT contractors still get preference today: there’s no minimum income for them. A contractor from any other industry must earn at least £312.50/day to qualify. Halifax uses 48 weeks to work out a contractor’s annualised income. Over that year, an applicant cannot have more than six weeks between contracts. The contract must also have 4–6 weeks left to run; if not, the contractor must get an extension. If it’s a first contract, the contractor must have worked in the same profession for the last two years. That said, a current CV is mandatory for all applicants looking to get onto the property ladder. For information on deposits, maximum loans and more, here’s Halifax full lending criteria. Clydesdale is another bank with a solid contractor-friendly reputation. The bank’s underwriting team adopts a manual approach to each applicant. There’s little they don’t know about how contractor’s finances work. Like Halifax, Clydesdale doesn’t like to see more than six week breaks between contracts. The bank also expects to see 4–6 weeks left to run on a fixed-term contract at time of application. Failing that run out, applicants must evidence an extension. But that’s where the similarity to Halifax ends. Clydesdale underwriters don’t differentiate between industry sector; all contractors are welcome to apply. The lender also sets a low income threshold of only £50k per annum, by comparison. They do expect a contractor to have been contracting for two years, though. During that time, they also expect to see a contract renewed at least once. If a contractor has more than 30% deposit, Clydesdale can be flexible on that ‘2-year’ caveat. In all, Freelancer Financials has a solid relationship with the Clydesdale bank’s underwriters. In certain instances, they can negotiate on your behalf. Do talk to them if you have only a slight deviation from Clydesdale’s full lending criteria. Nationwide is one of several contractor-friendly mortgage lenders to surface this last few years. What these newer lenders lack in tradition, they tend to make up for in flexibility. Nationwide is a perfect example. For a start, their underwriters insist on neither specific industries nor minimum income. They’re also understanding of a contractor’s way of life. Most lenders stipulate that a 6–week break between contracts is the limit. Nationwide allows up to 12. Even then, if an applicant has a longstanding contracting history, they can be flexible. demand for your skill in the marketplace. What Nationwide does insist on is that you’ve been a contractor for at least 12 months. Moreover, that you have at least a year in the same industry as at time of mortgage application. For one of our industry’s most flexible outlooks, see Nationwide’s full lending criteria. Leeds Building Society launched its range of mortgage products for contractors in 2015. Our partner Freelancer Financials played a pivotal therein. Like Nationwide, Leeds has adopted a flexible attitude to contract-based underwriting. They place no barrier on industry. But the least a contractor can earn is £50k per annum to qualify. Beyond that, Leeds shows an incredible amount of understanding. Contractors can apply even if they’re only on a 1–2 month contract. They must otherwise have 12 months’ contracting history under their belt, though. Applicants can have less than 4 weeks left to run on their contract without needing an extension. Working on multiple contracts? Many contractors do and Leeds underwriters welcome multitasking contractors’ applications, too. its underwriters judge each application on merit, not by a set of inflexible criteria. We could go on here about the impact Leeds have had on the industry. We’ve not even touched their interest only or offset mortgages. Do you want your money to work best for you? 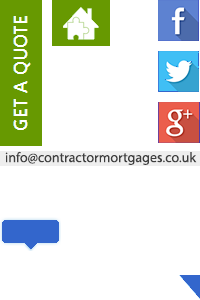 Then check out Leeds new, flexible mortgage lending criteria for contractors. Like Leeds, Lloyds-owned Scottish Widows launched its contractor mortgage range in 2015. This might puzzle a few of you who know banking. Halifax is also owned by Lloyds Banking Group, so why fix a wheel that’s not broken? There’s merit in that argument. Scottish Widows’ underwriting criteria is exactly the same as that of its sister bank. But the difference lies in the type of mortgages the newcomer offers. Again like Leeds, Scottish Widows is reintroducing the interest-only mortgage to the market. But of more interest to contractors will be the offset mortgages the new lender is offering. Offset mortgages aren’t new by any means. But with savings earning nothing in bank accounts right now, offset mortgages make sense. Lenders deduct your savings from your mortgage balance before applying interest. Your cash might not earn you interest, but it can save you on interest due! If you’re an IT contractor or earn more than £312.50/day, do yourself a favour. Check out Scottish Widows lending criteria. You’ll be so glad you did! Talking of new, next we have Metro Bank. Not only are they new to contractor mortgages, they’re also new to the High Street. Created in the wake of the credit crunch, Metro Bank hasn’t wasted any time. It’s seen the growing numbers of independent professionals. It’s acknowledged the part self-employment as a whole has shaped recovery. Those trends are only likely to grow in a post-Brexit UK and Metro Bank has pounced. There are no minimum income thresholds; industry sector is also not important. Metro’s manual underwriting process doesn’t even call for a run-out period. Yes, you’d be in better stead if you had an extension. But as Metro’s underwriters assess each application on merit, it’s not a deal breaker. What you do have to have on your side is 12 months’ contracting under your belt. You must also have 15% deposit for one of their residential mortgages. Talk to Freelancer Financials about your situation. They can then package your application just so, leaving no stone unturned. That’s how you’ll position yourself best for success against Metro’s lending criteria. Virgin Money is one of the old guard contractor mortgage lenders. And it deserved to be: flexible, straightforward and negotiable. Even today, the bank’s interest rates are amongst the best on offer. But something akin to a Shakespeare tragedy occurred and its criteria changed. Contractors can still secure mortgage finance with Virgin, but it’s complicated. There are set criteria to meet. Those terms then fluctuate, depending upon the nature of a contract. If you’re on a 6-month contract, one set of rules apply. For a 12-month contract, the lender uses a different equation. Despite this, there is a sector to which Virgin Money’s criteria is best suited. That’s those who’ve been contracting for at least 2 years, but not all through a limited company. On a positive note, the senior underwriters there know about the issues. They are addressing the problems that recent changes have caused. But until there’s formal word, here’s Virgin Money’s contractor mortgage lending criteria. Of all contractor-friendly lenders, Kensington may be the most specialised. Indeed, they only focus on specialist mortgage lending. What this does mean is that they can cater for contractors with less than perfect credit. no breaks of more than six weeks between contracts. Beyond that, Kensington underwriters are flexible. They annualise a contract rate over 46 weeks to work out affordability. They set no minimum gross contract rate or show industry bias. All contractors are welcome to apply, regardless of income, industry or even credit rating. Kensington do only deal through brokers, which is no bad thing. Talk to Freelancer Financials if your industry sector (or credit) is non-preferred. They can package your application to help the underwriters understand you better. In the meantime, here’s Kensington’s full lending criteria for contractors. Saffron Building Society is a great example of the way lenders are moving with the market. Before summer of 2016, the lender had strict lending criteria for contractor mortgages. That’s now changed and the lender is now showing real intent. Saffron’s approach remains a little different, despite the changes. As long as you’re working contract-to-contract, it doesn’t matter about your industry. As that’s the way most independents work, almost all contractors are good to go. But the biggest change at the building society is applicable contracting history. Before the changes, contractors had to have been contracting for two years. Now, contractors can, in theory, apply from Day 1 of their first contract. There are other conditions to meet for those circumstances to be relevant. You can find them all on Saffron’s dedicated lending criteria page. To complete the list of contractor-friendly lenders, we look at two smaller lenders. Both may take a little longer to process applications than their more affluent competitors. But then, both bring something different to the table. First, we have Furness Building Society. Its lending criteria is the closest to a standard High Street criteria you’re likely to find. your current contract must be for 12 months with at least 6 months remaining. In addition, your CV must be up to date for the last two years. Those two years must also be in the industry in which you’re contracting at time of application. There must also be no significant gaps between contracts during that time. But to counterbalance that, Furness will consider contractors who’ve taken extended time out. The least deposit Furness will accept is 20%. To work out your annualised ‘salary’, they multiply your current rate × 46 weeks. Like Furness, Newbury doesn’t have access to the depth of funds of larger lenders. So, yes: application processing time can also take a little longer. But there are benefits to underwriting this way. The building society’s underwriting is all undertaken on a manual basis. This means the team can assess every single applicant on merit. The result of manual processing means restriction on neither industry nor income. All contractors are welcome. What’s more, Newbury’s underwriters work out affordability on a contract daily rate. They’re a newer contractor-friendly lender to the fold, but add another degree of flexibility. Both building societies are examples of good things coming in small packages. If they appeal, go post haste to Newbury and Furness individual lending criteria detail. To work out how much you can borrow, our guide explains how mortgages for contractors work.